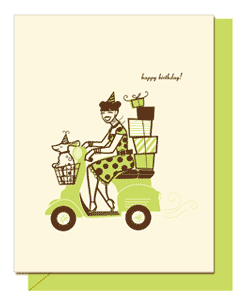 Very cute scooter card. Worthy of framing. It’s actually embossed into the card. Sadly, this is the only scooter thing Hello Lucky makes.